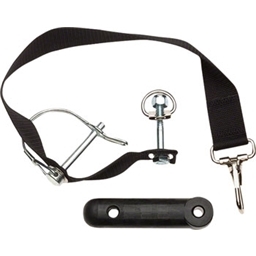 Burley Flex Connectors are replacement "dog bones" for Burley hitch attachments. It worked! Allow me to clarify. I bought the Veelar trailer from the Big "A" a few years ago. The failing was the hitch - horrible. The trailer would sometimes disengage from the hitch and once flipped over. I bought the after market hitch. Essentially the same. I stopped using the trailer and purchased a Maya. I looked for a simple solution. I was aware of this hitch and felt it might work. I pulled stats on the Flexible Connector and measured the trailers draw bar. Everything said it should work. In fact it is a perfect fit! I next ordered both the hitch and the rack mount. I have a very tall bike so the rack mount works best for me. I have pulled this trailer once or twice a week over the past 3 months without a single problem. I have not grossed out the trailer as yet with the heaviest load being 35-40 lbs. The Flexible Connector will wear over time and at some point require replacement. 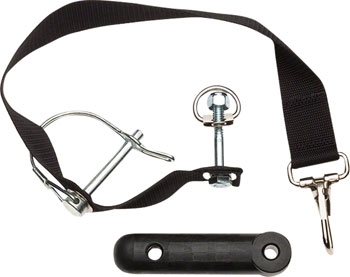 Further, Burley has a disclaimer that this hitch is only intended for use with their trailer. In the event of a mishap there will be no warranty. This was my solution to the Veelar and thus far: "It works for me!" The part I wanted when I wanted it. Couldn't ask for anything more!